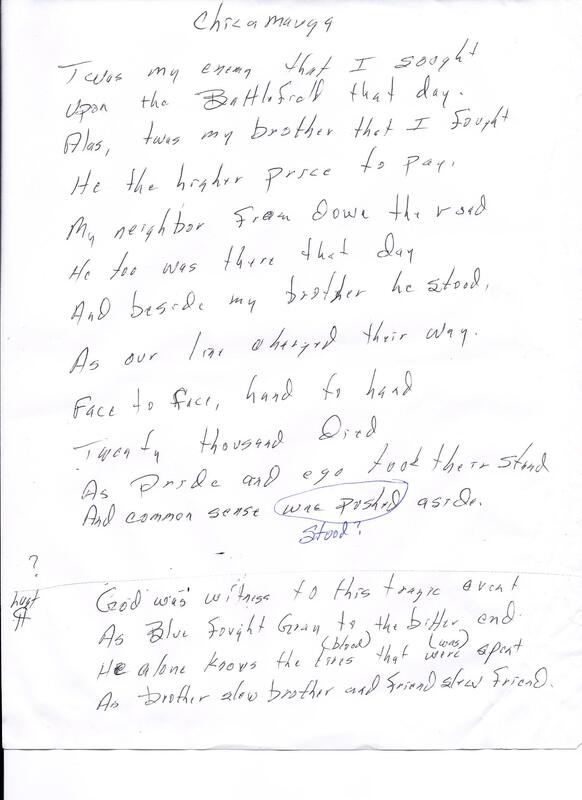 The following was transcribed as found — never typed, only handwritten to this point (image attached for posterity). I have placed his notes in here as well, added as italics, that show where he had considered replacing words. The piece was never completed, but there is enough to see his intent. Upon the Battlefield that day. He the higher price to pay. As our line charged their way. And common sense was pushed (stood?) aside. As brother slew brother and friend slew friend.